« The New Michael Ross Photography Website is complete! 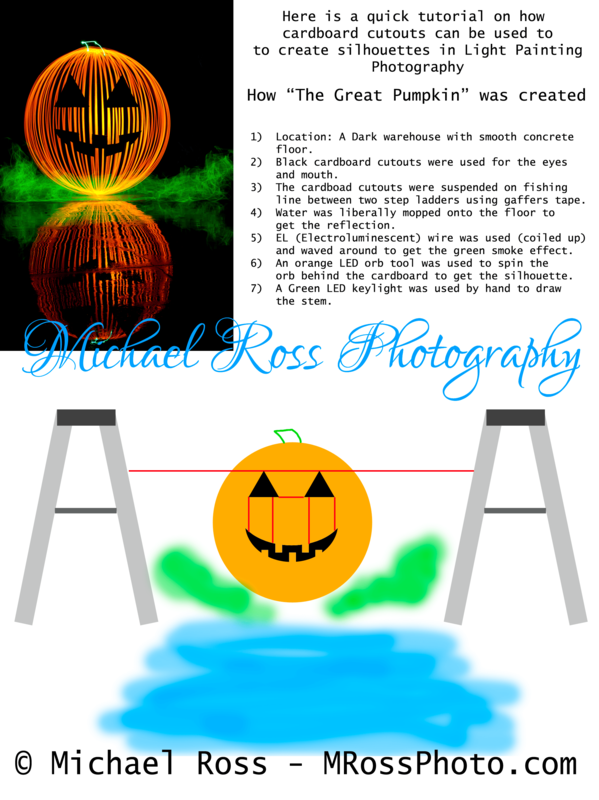 Here is a quick tutorial on how my photo titled “The Great Pumpkin” was created. Hopefully this will give other Light Painting photographers some inspiration in using cardboard cutouts for silhouettes in Light Painting or Light Art Photography. Location: A dark warehouse with smooth concrete floor. Black cardboard shapes were made for the eyes and mouth. Water was very liberally mopped onto the floor to get the reflection. EL Wire (Electroluminescent) was used (coiled up) and waved around to get the green fog or smoke effect. An Orange LED orb tool was used to create the orb behind the cardboard shapes to get the silhouette of the shapes. 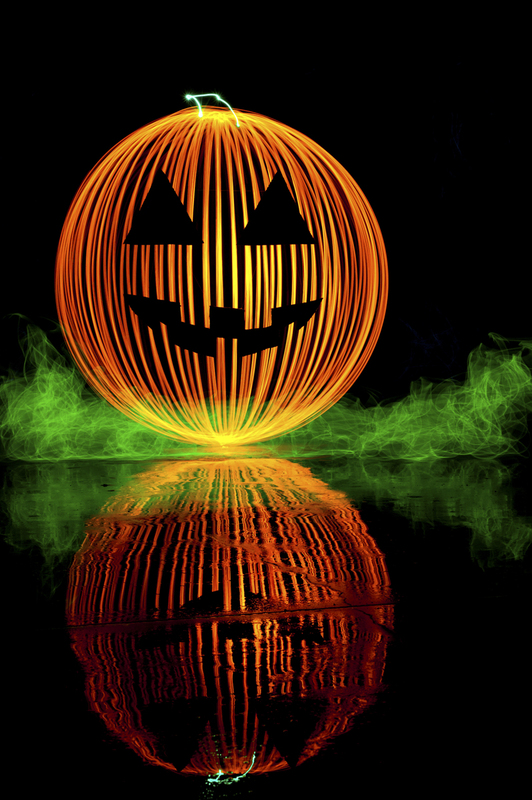 A Green LED keylight was used by hand to draw the stem for the pumpkin. This entry was posted in Light Art Photography, Light Painting Photography.